Toronto is the largest city in Canada and one of the most exciting destinations in North America. With a population of 2.7 million people, this inspiring city has grown to become a global hub of business, technology, arts, and culture. Toronto is widely recognized as one of the most cosmopolitan and multicultural cities in the world, with more than half of all residents belonging to a minority population group. While Toronto is unmistakable Canadian, it continues to grow and evolve as a global city that reflects and celebrates the diversity of the modern world. The Toronto city limits stretch 21 km north-south and 43 km east-west. The long waterfront on the shore of Lake Ontario is home to the sheltered and beautiful Toronto Harbour, with the rest of the city featuring mostly flat or gentle hills sloping away from the lake. The beautiful environment is matched by an impressive city skyline featuring a mixed bag of styles and structures. From the massive CN Tower that defines the city skyline through to the Toronto condos that house many of the residents, Toronto continues to embrace its status as a vertical city. The sky truly is the limit for Toronto, with this amazing city of high-rises consisting of 1,800 buildings over 30 meters in height. With a vibrant performing arts scene, bustling film industry, and busy festival season - Toronto prides itself on excitement and culture all year round. Whether you're a tourist or a local, you can enjoy world-class performances every weekend in this lively city. Festivals are a huge part of local culture, including the Toronto International Film Festival (TIFF), Toronto Jazz Festival, and 10-day Pride Week that celebrates the LGBT community. If you're looking for a family day out, the Royal Ontario Museum (ROM) and Art Gallery of Ontario offer a number of unique and inspiring exhibitions throughout the year. Make no mistake though, people in Toronto love their sport just as much as their ballet, with Toronto clubs featured in six major North American leagues and hockey almost treated like a religion. Toronto is a diverse city that was formerly administered as a number of separate municipalities. These municipalities each have their own distinct history and identity, with old names still in common use among Torontonians. You'll still hear the locals talking about East York, Etobicoke, and Scarborough, even though Toronto is now officially a city of 140 distinct neighborhoods. Whether you're a tourist, a struggling student, or a hungry investor looking to buy Toronto condos, let's take a look at ten of the best Toronto neighborhoods - both in the City and the Greater Toronto Area. Old Town is an exciting neighbourhood in downtown Toronto with a great collection of retail stores, foodie destinations, and heritage buildings. Featuring the original ten blocks of the Town of York, Old Town has one foot firmly in the past while the other embraces the future. From the delicious St. Lawrence Market through to the pedestrian-only Distillery Historic District and tourist-friendly Gooderham Building, this authentic part of Toronto is full of great things to see and do. The St. Lawrence Market neighbourhood is particularly active during the spring and summer months when it hosts a number of outdoor festivals and sporting events. In the former City of Toronto, close to the business and administrative center, lies a place lovingly known as Cabbagetown. This suburban area on the edge of Toronto downtown is famous for its Victorian architecture, amazing restaurants, and thriving cosmopolitan lifestyle. Traditional houses in this neighborhood are still in high demand thanks to the unique Victorian bay-and-gable housing style. Cabbagetown became gentrified by affluent professionals in the 1970s and is now home to many artists, musicians, and writers. Kensington Market is a vibrant street market and living area that reflects the wider multicultural community in Toronto. A number of immigrant populations have made this area home over the years, including the Caribbean, Latin American, European, and Vietnamese. Chinatown can be found just south of Kensington Market, with this colourful neighbourhood full of Chinese, Thai and other Asian restaurants. The Art Gallery of Ontario (AGO) is also close by, making this a great area for anyone who wants a slice of culture. The Entertainment District is home to a number of performing arts and sporting venues, with the annual Toronto International Film Festival and many other festivals calling this part of Toronto home. Lots of the city’s biggest tourist attractions can also be found here, from the massive CN Tower through to Ripley’s Aquarium of Canada and Canada's Walk of Fame. If you're feeling like a laugh, the world-famous Yuk Yuk’s Comedy Club features a steady stream of new and established comedic talent. Once the home of hippies and now the home of hipsters and fashionistas, Yorkville is a trendy neighbourhood lined by designer boutiques and fancy restaurants. The neighbourhood's hippy roots and proximity to the University of Toronto cause a certain amount of juxtaposition, with struggling students walking down the road next to members of high society. The adjacent Annex neighborhood is where students go to hang out when they don't want to pay the increasingly high prices of Yorkville, with this bustling area home to many great coffee shops, bars, bookstores, and small galleries. Mississauga is a city in the Greater Toronto Area on the shores of Lake Ontario, with a population of 721,599 people spread out across 23 distinct neighbourhoods. Mississauga is just as cosmopolitan and multicultural as Toronto City, with a number of arts events and festivals held throughout the year and over half the residents identifying as visible minorities. Along with its large Canada Day Celebration, this city also features the famous Mississauga Rotary Ribfest and Tree Lighting Ceremony. Mississauga is a lively and livable city that features some of the best shopping, sporting, and recreational facilities in Canada. Situated atop the Scarborough Bluffs, this former city and administrative capital is one of the most diverse and multicultural places in the Greater Toronto Area. While Scarborough is somewhat dominated by busy roads, suburban houses and shopping plaza’s, there are some hidden gems within the urban wasteland. Real estate is generally cheaper in Scarborough and people are known to be friendly and relaxed. Despite its bad reputation for crime, according to the Toronto Observer, the violent crime rate in Scarborough is actually three percent lower than downtown Toronto. "The Flower Town of Canada" lies in Southern Ontario within the Greater Toronto Area. This relatively new city went through significant development in the 1980s, with its largest boom actually happening even later in 1999. People are attracted to Brampton because of its close proximity to the Pearson International Airport and great transportation infrastructure, with the cost of land and property also lower than downtown and a more favourable corporate tax structure in place. Brampton features an incredibly diverse population, with English being the first-language of just 51.71 percent of the population according to the 2011 census. This city is located on the shore of Lake Ontario, roughy 50 km from the Toronto city centre. Unlike most of Toronto, the population of Burlington is not particularly diverse, with less than 10 percent of people identifying as a visible minority. Burlington offers a great lifestyle to residents and visitors alike, including almost 3,000 acres of parkland, seven ice pads, and six indoor and outdoor pools. Lying at the hub of the Golden Horseshoe, Burlington's economy is largely driven by the automotive and manufacturing sectors, with strong growth and employment in the city providing a high quality of life for residents. The Bridle Path has been recognized as the richest neighbourhood in Canada, with a mind blowing average household net worth of $22.27 million. The average house prices in this 'hood is $2.24 million and the average annual household income is almost $1 million. Characterized by massive multimillion-dollar mansions and large acre plots, the Bridle Path truly is Canada's version of "millionaires row". This affluent area is home to many prominent Toronto business people, celebrities and engineers, not to mention a fair share of tourists and sticky-beaks who go to see how the other half live. Minto is an established condo development and home building company in Toronto. Minto has been finding the best places to live in the city since 1955, and pride themselves on designing the perfect homes for Toronto residents. Featured communities include The Oakley at Oakvillage, Ivy Ridge, Glen Agar, and Minto Westside. Minto Westside provides design-forward condos at the corner of Front and Bathurst, right in the heart of downtown Toronto. Tridel has over eight decades experience building homes in Toronto. With over 80,000 condos and homes built across a range of communities, Tridel knows what it takes to create the perfect home for you and your family. Featured condo developments include Bianca, Auberge on the Park, Bloor Promenade, Via Bloor and many more. Bianca on the Park is Tridel’s new boutique condo community in the Annex, with forward-thinking architecture designed to meet the needs of a multifaceted community. Camrost has been in the home and condo development business since 1976, giving them over 40 years experience in building and revitalizing Toronto communities. Featured Camrost projects include The Foxbar Collection, Yorkville Private Estates, and Blue Diamond. Blue Diamond offers spectacular views from a range of luxury suites, all in the heart of the master-planned community that is Imperial Village. Lamb Development Corporation was founded in 2001, with this forward-thinking company having been involved in a number of stylish urban condominium projects since this time. Current condo projects include Parc, Worklofts, The King East, and Theatre Park. The Parc is an architectural delight located on the peaceful Stanley Park, with this exciting condo development soon to be home to 103 residents. CentreCourt has been involved with the development of over 5,000 homes in the Greater Toronto Area, including a number of high-rise condominiums close to the city center. Notable developments by CentreCourt include Zen King West, Transit City, 411 Church, Grid Condos, and Core Condos. Zen King West is located next to King and Strachan, and has been designed to enable a modern lifestyle of relaxation, health, and wellness. Metropia is committed to enhancing the urban landscape of Canada by providing residents with a growing range of housing alternatives to meet the demands of modern lifestyles. Metropia has been building the communities of tomorrow for over 30 years. Current Metropia projects include The Yorkdale Townhomes on the Park, Econdo, Exhibit, and Emerald Park just to name a few. Emerald Park is an exciting architectural concept complete with modern lines and luminous green glass. Zinc Developments has been involved in numerous forward-thinking condo projects since 1989. Zinc manage all aspects of property development, construction, and investment - with this holistic model helping them to complete a number of great Toronto developments. Notable projects include 35 Wabash Ave, 51 Camden Street, and Bishop Street. Bishop Street is the reimagining of a commercial factory originally designed by Barton Myers, with this amazing development featuring an award-winning design. Cresford is a luxury condo developer in Toronto, and interestingly, the first residential developer in Canada to spice up their condos with international fashion labels. Cresford has been making inspiring modern homes for over 40 years. Current Cresford communities include 33 Yorkville, Halo, Vox, and Casa III. 33 Yorkville features an elegant gunmetal finish and two striking high-rise towers, with this iconic building managing to bridge the worlds of luxury and high fashion. Streetcar Developments has built a number of mid-rise residential projects across the city of Toronto. They aim to make the streets of Toronto even more livable and culturally rich than they already are. Notable projects include The Broadview Hotel, Riverside Square, and The Southwood. Riverside Square is the latest planned community by Streetcar, with this exciting development promising a range of units sizes for Toronto residents. Freed has plans to reimagine the city of Toronto through the evolution of design-based development. Peter Freed and his team are quickly approaching 1 billion dollars in development, with buildings offered in a number of prime locations around Toronto. Current developments include Sixty Colborne, 346 Davenport, and Art Shoppe Lofts and Condos. Sixty Colborne is an exciting development that promises to enhance modern lifestyles through a mixture of time-honoured architecture and urban elegance. The housing market in Toronto continues to cool after years of pressure - with prices falling, listings growing, and central bank interest rates going up. Toronto experienced a volatile year in 2017, characterized by rising prices in the first quarter prior to the introduction of the Ontario Fair Housing Plan (FHP). The FHP caused a significant decline in sales and prices due to a 15 percent non-resident speculation tax and growing uncertainty among buyers. Property listings have fluctuated since this time, with prices recently falling amidst a widening pool of homes for sale. According to the Toronto Real Estate Board, all signs point towards a slow start to 2018, especially compared to a year ago. While the pace of home sales is expected to increase as the year progresses, the ongoing impact of the FHP is likely to keep conditions cool on the ground. The Home Price Index Composite Benchmark increased by 5.2 percent on an annual basis in January 2018, driven mostly by the condominium apartment market segment. The average selling price in Toronto was down by 4.1 percent to $736,783 over the year, however, due mostly to low numbers in the detached segment of the market. Perhaps the biggest trend in 2017 was the increase in activity for Toronto condos, which accounted for a large and growing portion of all real estate transactions. According to the Toronto Real Estate Board, the average sale price of a condo in the Greater Toronto Area was $532,700 in January 2018, up a massive 14.1 percent from December 2016. Condos in Toronto City were the most buoyant segment of the housing market, jumping a massive 23 percent to $545,826 compared to all properties in Toronto City which saw average gains of 12.6 percent to $824,138. Toronto condos have become viable starter homes in neighbourhoods across the city, with millennials and first-time buyers joined by existing home owners and investors. While recently introduced mortgage stress tests will stop some people from buying condos and tamper overall growth, the market has largely shrugged off tighter lending rules, of which there has been seven introduced since 2008. According to Navtaj Chandhoke, founder of Professional Real Estate Investors Group (PREIG) Canada, “Toronto is one of the best places to invest in Canada.” Prices are mostly subdued after a long period of increasing, the wider economy is booming, and the unemployment rate has fallen to 4.3 percent - making it a great time to start climbing the property ladder. Today, more people are buying Toronto condos than ever before, from first-home buyers and existing home owners through to retirees and investors. While condos make great homes and have proved to be valuable investment tools, they offer unique challenges and can create problems if you're not careful. Whether you're looking for a new home or a way to secure your financial future, it's important to follow your plan carefully while keeping your eyes on the prize at all times. Before looking for a condo, it's important to get your finances sorted and get pre-qualified for a mortgage - you can only shop for Toronto condos when you know how much your bank is willing to lend. While lending criteria differs from bank to bank, lenders will generally look at the relationship between your income, debts, and credit history. Official pre-approval should always be in writing and should include a guaranteed interest rate, which is usually valid for 90 days. Once you have a working budget, you should develop a property wish list based on your needs and expectations. It's important to do your homework on Toronto condos and geographical areas at this stage of the process. How many bedrooms do you need? What kind of building are you looking for? Which Toronto neighbourhood do you want to call home? Before making a list, it's important to check proximity to amenities such as grocery stores, transportation hubs, and schools if relevant. Resources are available through the TDSB's school finder and the City of Toronto's neighbourhood rankings. It's important to remember that a “condominium” refers to a form of legal ownership rather than a style of construction. Toronto condos may be high-rise buildings, townhouses, duplexes, or even detached houses. Regardless of the building being used, condominium buyers have three choices: a new condo, a resale condo, or a conversion condo. New condos are bought directly from the developer, resale condos are bought from the current owner, and conversion condos are renovated for residential use. Depending on the building in question, conversion projects can be managed and sold by previous owners or condo developers. Once you're ready to start hunting for a condo, it's important to develop a working relationship with a real estate and legal team who can help you on your journey. Whether you want to work with one agent exclusively or use the services of a few, other people can speed up the process and offer key insights. House hunting can be a long and gradual process involving online research, door-to-door previews, and lots of paperwork. This is all critical, however, with many people refining their wish list and coming up with new potential neighbourhoods based on groundwork. Once you've found a Toronto condo, your work is just getting started. Potential buyers often underestimate their negotiation power during the early stages - which are a great time to ask for upgrades or save money on upgrades before you move in. It's also important to assess the building's physical condition, with a home inspector, who is able to give you a detailed report that could save you a lot of time and headaches in the future. When it comes to Toronto condos, not all developers are created equal. Before putting your hard earned money on the line, it's crucial to research the developer. Along with looking at things like experience, reputation and quality of past work, you should also check the debt status of the building and financial forecasts of the company. Who is behind the construction and management of your condo? What is the history of the condo? Toronto condos operate under a different structure than houses and apartments. When you purchase a condominium, you own a private dwelling and also share ownership of the building and common assets with the community. Along with the upfront price of your condo, you also have to pay ongoing fees for the use and management of this common property - whether you use them or not. Maintenance fees are always included, with occupancy fees and parking fees also included in some fee structures. Financing is also critical, so do your homework and find the best mortgage deal for you. Property taxes in Toronto are retrospective, working backwards from estimates based on how much the economy grows or shrinks over the course of a year. Unlike sales and income taxes, municipalities decide how much money they need to bring in first and then set their property tax rates accordingly. In other words - they start from the total they need to raise and then work backwards to figure out what the tax rate will be. Property taxes don't grow with the economy in Toronto, and are instead based on how much money the municipal government needs to raise. This means that property tax isn’t a function of economic activity and is instead based on current projects, expenses, and revenue. While the residential property tax rate typically gets all of the attention, there are actually several kinds of property tax in Canada; including multi-residential, commercial, and industrial. Property buyers also need to pay the Land Transfer Tax, with Toronto buyers hit twice with the Toronto Land Transfer Tax. While this double whammy has long been deemed unfair by residents, it is unlikely to go away any time soon. According to The Torontoist, the Toronto land transfer tax contributes roughly $540 million to the annual budget. Maintenance fees are an unavoidable part of condo living in Toronto. They need to be paid by all condo owners and are usually dependent on the percentage of the building that you own. While there are some exceptions to this rule, most maintenance fee structures are based on actual square footage of the unit. It's not quite that simple though, you also have to pay for common areas, common property, operating costs, management costs, staff costs, insurance, and a contingency reserve fund to deal with unexpected expenses. Generally speaking, people pay higher maintenance fees for older buildings that require more maintenance, buildings that require more staff such as pool cleaners or a concierge, and smaller buildings where fees have to be split among fewer people. The common expenses for a Toronto condo are based on a budget that needs to be approved by the corporation’s board of directors and property manager. $0.60 – $0.70 per square foot is the average range for downtown Toronto condos, with more expensive buildings charging as much as $0.80 – $1.00 per square foot. Also known as "phantom rent", occupancy fees need to be paid for the period of time between when you move into your Toronto condo and when it becomes officially registered. While occupancy fees are also unavoidable, the length of time you need to pay them is highly variable and dependent on the experience of developers and floor height of your unit. For example, because people in the lower floors of a building generally move in sooner, they may not have to pay fees for as long. Living in a condo can be exciting, but it's certainly not for everyone. From low-rise and high-rise buildings in the middle of the city through to townhouses and duplexes in the suburbs, moving into a Toronto condominium comes with both rewards and challenges. Living in a condo gives you the freedom to escape from property maintenance. Someone else is responsible for all outside work, including snow shoveling, lawn mowing, and the repair and maintenance of pools and outside structures. While you have to pay a monthly maintenance fee to cover these services, you don't have to worry about finding the time or energy to do them yourself. This structure allows major costs to be shared among condo owners, with a reserve fund always available to ensure that important jobs are done on time. People often choose condominiums for the lifestyle, with many Toronto condos located close to the downtown area. There is no price you can put on easy access to work and recreational facilities, from offices and public transportation hubs through to restaurants, entertainment venues and other amenities. The facilities located in condo buildings are also a big drawcard for condo owners, with things like pools, gyms, and recreation rooms helping people upgrade their lifestyle without huge initial expenses. There are also a number of challenges associated with condo living, including price, appreciation, maintenance fees, and the need to interact with condo boards. Depending on where you want to live in Toronto, the purchase price of a condo may be more expensive than a freehold property. Appreciation over time can also be an issue, with condos in some areas not increasing in value as much as houses. This is not true at the moment, however, with Toronto condos increasing in value much more than houses throughout 2017. The need to interact with condo boards can be a positive or a negative depending on how your board is run and whether or not you like the social engagement. When it comes to the pet peeves of condo owners, however, there is nothing that gets mentioned more than maintenance fees. Fees are unavoidable, likely to increase over time, and don’t disappear when you pay off your mortgage. Maintenance fees vary widely according to the staff employed, building facilities, age of the building, and size of the building among other factors. Make no mistake though, it’s normally more expensive to live in a house than a condo, especially when you factor in things like water, garbage, utilities, and insurance. A. A condominium (or condo) is a form of ownership rather than a type of construction. While most people associate condos with high-rise buildings, they can also be townhouses, duplexes, or even single detached houses. Q. Who pays land transfer tax? A. Buyers of condos in Ontario need to pay land transfer tax when they purchase a property - sellers don't. Additionally, Toronto buyers need to pay the Toronto Land Transfer Tax. Q. What are common maintenance fee structures? A. Condo maintenance fees are usually representative of the percentage of square footage that you own. Maintenance fees go towards paying operating costs and common expenses, including common property, general operating costs, management and staff costs, insurance, and a contingency reserve fund. Q. Why do maintenance fees differ? A. Maintenance fees for Toronto condos can differ widely depending on the age of the building, the number of facilities and staff, and the size of the building. Generally speaking, older and smaller buildings have higher maintenance fees. A. There may be a period of time between when you move into your condo and when it becomes officially registered. During this time, you are expected to pay an occupancy fee, also known as "phantom rent". A. To be classified as a legal apartment, the condo needs to meet local re-zoning requirements, property standards, occupancy standards, health and safety requirements, and fire and electrical code. A. While this is not always advisable, the Canadian government's Home Buyers' Plan (HBP) allows you to borrow up to $25,000 from your Registered Retirement Savings Plan (RRSP). Q. Should I use a real estate agent who specializes in pre-construction condos? A. A pre-construction condo is very different than a resale condo. Specialized agents may be able to help you find a better deal, see units before other buyers, and negotiate unit upgrades. If you're interested in Toronto condos, find a condo buying expert today and start living your dream in one of the most vibrant and exciting cities in the world. Tridel is one of the best condominium developers in Toronto. 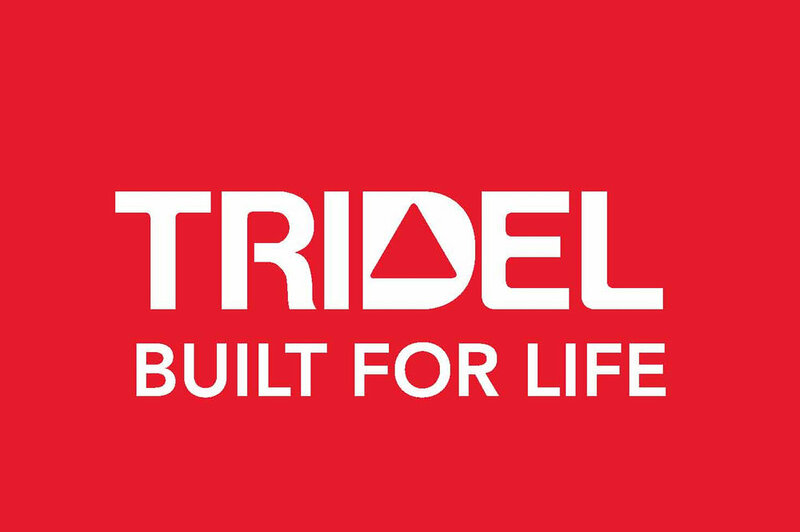 With almost a century of home building experience, Tridel has built more than 80,000+ homes with an unrivaled reputation emerging as a powerhouse for constructing award winning condominiums and transforming communities. They emphasize high quality, green building practices, and condos that are built to last a lifetime. Freed Developments is an outstanding developer of condominiums and lofts that have reshaped the Toronto area. With the company's obsession with every detail of the design and building process, clients and customers are assured of getting the best quality condos for their money. Freed Developments is also a staunch believer in the "live, work & play in your neighbourhood" ethos, building spaces with all the amenities close by and in prime locations. Founded in 2002, StreetCar Developments specializes in designing and building impeccable boutique buildings that live in perfect harmony with existing surroundings while enhancing neighbouring communities. With StreetCar, condo buyers are assured of high quality finishes, modern designs, strategic locations and a deeper connection with surrounding communities.